Deanna J. 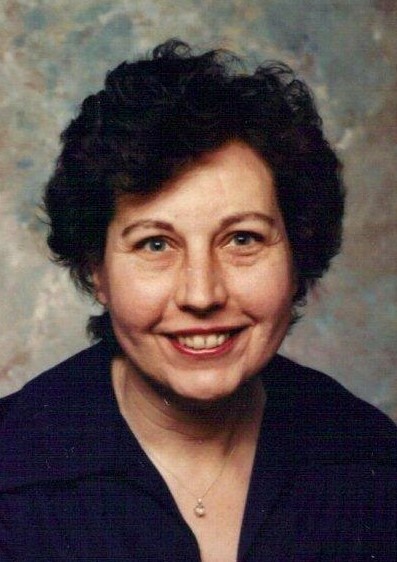 (Prater) Shoffstall, 78, of Wapakoneta, passed away at 10:17 p.m. November 20, 2018, at her residence. She was born on January 12, 1940, in Beechburg, Kentucky, to James L. & Hattie “Ruth” Boyd Prater, who have preceded her in death. On January 18, 1957, she married Roger D. Shoffstall, who passed away on January 1, 2002. Survivors include her three daughters, Vicki J. Harrison, Grace A. (Ted) Copeland, both of Wapakoneta, Debra L. Shoffstall, at home; four grandchildren, David (Dawn) Harrison Jr., Anna (Dustin) Skinner, Travis (Ashley) Copeland, Trevor Copeland; twelve great-grandchildren, Kaitlynn, Caitlin, Nicholas, Patrick, Alexis, Jaycee, Gracyn, Talon, Audry, Hunter, Roland, William; two brothers, James B. (Patricia) Prater, of Leesburg, Barry (Elaine) Prater, of West Union; and a sister, Candee Culp, of West Union. Deanna was welcomed into Heaven by her baby daughter, Ruth Ellen Shoffstall; son-in-law, David Harrison Sr; and brother, Larry Prater. In 1956 Deanna came to Wapak from Southern Ohio to live with her aunt and work at Ara’s Restaurant. Little did she know that while working there, she would meet the love of her life, Roger. Their courtship blossomed into raising their daughters and spending almost 45 years together. Deanna lived a life of service, especially after being introduced to the Lord by her grandmother. She had a full heart, always giving, sharing, and willing to help. She knew no strangers, human or animal… Deanna was able to find those who needed her, and rescued the wayward animals that came her way. She attended The Pilgrim Holiness Church, Lima, where she was always warmly welcomed. Above all, Deanna lived and breathed being a mom. She was a devoted caregiver to her daughter, Debbie, constantly caring, loving, and advocating for her. Deanna’s legacy of love and service to others will always be remembered. Services will begin at 10:30 a.m. Tuesday, November 27, 2018 at Schlosser Funeral Home & Cremation Services. Pastor Don Nichols will officiate. Interment will be in Buckland Cemetery. Friends may call from 4:00 p.m. to 8:00 p.m. Monday, November 26, 2018 at the funeral home. Memorial contributions may be made in Deanna’s memory to a charity of the donor’s choice.